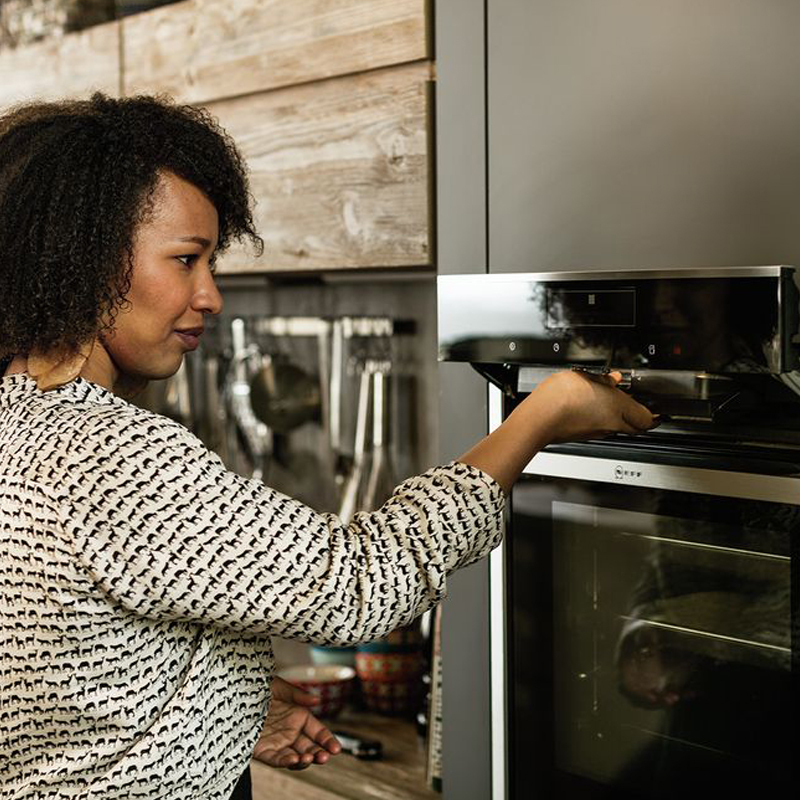 The unique NEFF Slide&Hide® oven door fits smoothly under the oven to provide plenty of room, as well as better access to the 71 litre oven cavity. So, why exactly do you need a Slide&Hide® oven? • Better access: Slide&Hide® allows for flexible cooking, letting you baste, taste and monitor food easily during the cooking process. You can get close to the oven without needing to worry about navigating around the oven door. • Easier lifting: With better access to the oven cavity, it’s also easier to lift out heavy or large items, avoiding the dangers of drops or spills. • Perfect for small kitchens: The disappearing door allows for one or more people to easily move around the kitchen. This also ensures you are maximising your kitchen space. • Comfortable, rotating handle: The revolutionary Slide&Hide® handle is easy on the wrist so you can use it year after year, without strains. • It’s unique: We are the only brand with a fully retractable door. Be the envy of all your dinner guests with the unique feature. • German made and engineered: All of our Slide&Hide® ovens are made in Germany. Since its launch 16 years ago, the oven has proved so popular with kitchen devotees that the 27th of April 2017 saw the one millionth Slide&Hide® oven hit the production line at the Bretten factory, ready to bring another creative cook’s dishes to life. • 4 year warranty & continuous testing: All Slide&Hide® ovens come with a 4 year warranty. Martin Brunner, a Slide&Hide® engineer at NEFF explained that his team have currently spent 40,000 hours testing the oven – which we think are hours well spent to arrive at such a special and unique product. NEFF Slide&Hide ovens are also available with your choice of steam functions or pyrolytic cleaning. 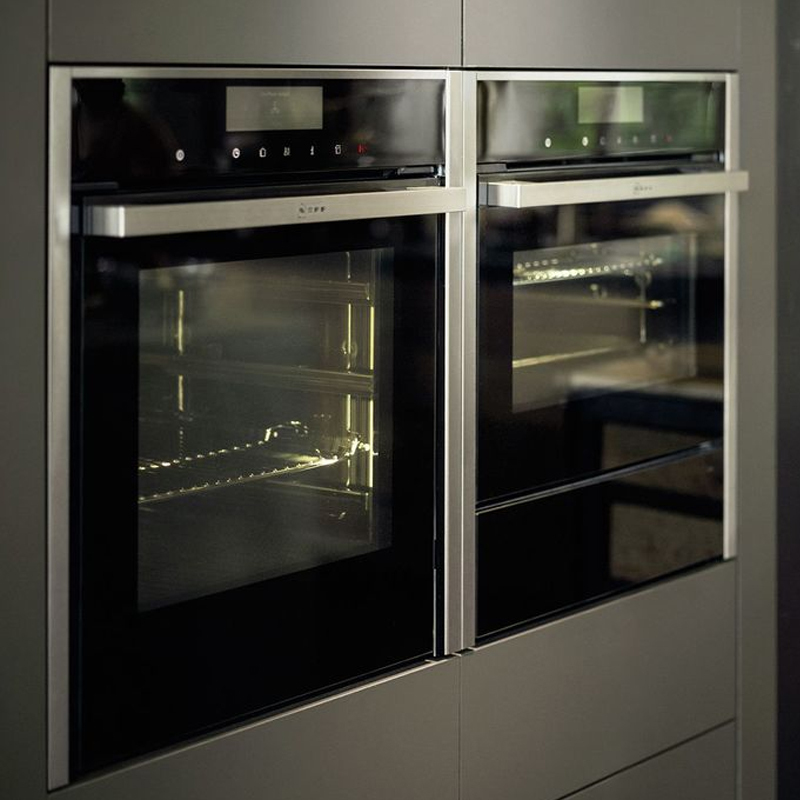 With over 6 different slide&hide ovens available in our range, you are sure to find the perfect kitchen companion to suit your needs.